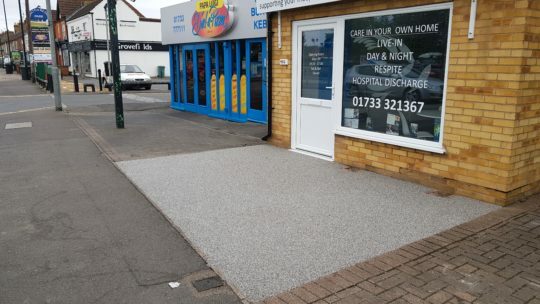 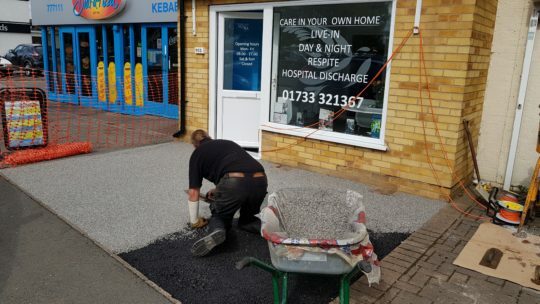 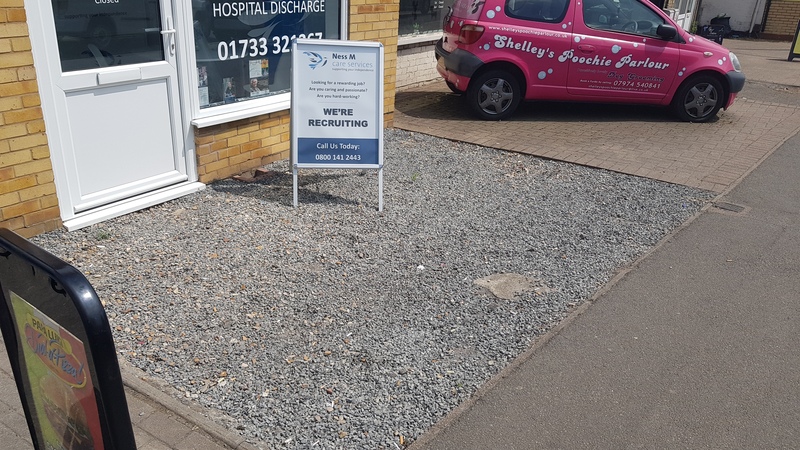 Nes Care Services contacted us to block pave or resin the front area of their premises on Lincoln Road, Peterborough as it was currently loose gravel that wasn’t ideal for those less mobile to tackle when visiting the premises. 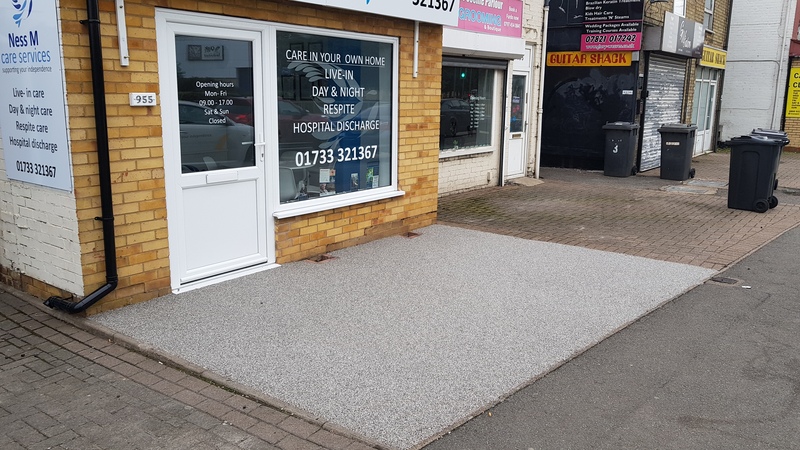 Nes Care heeded our recomendation to Resin the area as the surface would be perfect for wheelchair access and require no maintenance to keep looking nice. This can be seen with the neighbouring premises that had block paving and were looking in need of a make over. A nice bright and modern Silver aggregate was decided on and the install was completed within 24hrs whilst the premises were closed.